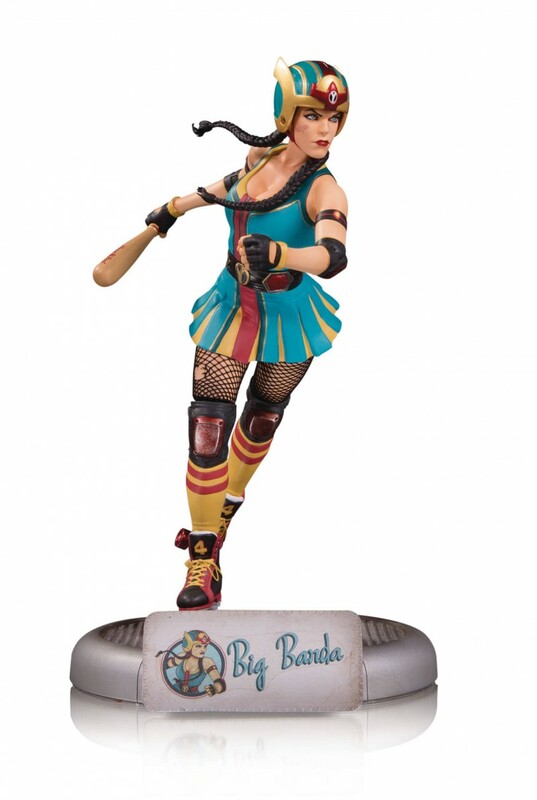 Designed by ANT LUCIA sculpted by TIM MILLER She may be over 250 years old, but that doesn’t mean Big Barda can’t enjoy the pleasure of roller skating, or more specifically, crushing your opponents in roller derby. As a member of the New Gods, she’s nigh invulnerable and has been trained as a supreme combatant in both sword fighting and brawling. Featuring her trademark colors and an updated helmet design, she’s ready to pummel her opponents on the track. Limited to 5,000 pieces. Figure measure 10’ tall.